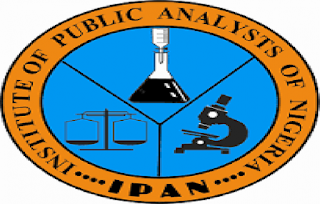 In view of the key role of the healthcare and manufacturing sectors to Nigeria’s development, the Institute of Public Analyst of Nigeria (IPAN) has urged the Federal Government to create policies and regulations that can promote public analysis to advance the industry. The organisation made the call during the 25th anniversary/ award night and induction of new members noting that enhancing the profession of analysis is critical to the survival of mankind. Commenting during the occasion, Dr Dahiru Adamu, President, IPAN stressed on the need to involve the professional body in public analysis because the government agencies do not have the capacity to carry out 100 per cent coverage in policing and regular testing. 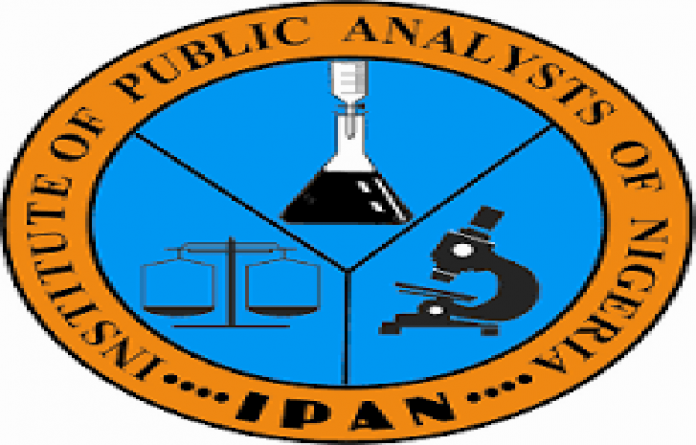 IPAN is a parastatal under the Federal Ministry of Health, established by Decree No 100 of 1992 now IPAN Act Cap 1 16 LFN 2004. The professional body which is charged with the power to train, examine, register Public Analysts and regulate their practice in the country is as important as the Standard Organisation of Nigeria (SON) and National Agency for Food and Drug Administration and Control (NAFDAC), Adamu noted. The IPAN President said; “It is time to empower the public analyst so that he can regularly test products of producers at their own cost. If you see building collapsing, people bringing petroleum that is adulterated, you have dirty environment that causes infections. “We have solid minerals that we cannot determine their quality and the value in the market. All this is because there is no analysis. If you are building they must test the strength of your rod, quality of your cement even the quality of water to be mixed has to be tested all these things brings about quality structures that will last for a long time and serve the purpose of what they are intended,” Adamu said. According to him, the government is trying, though there are still room for improvement. “They are always scared of everything, they always think of money. Everything is not money, there are policies, legislations and advocacies, there is need for mobilisation of all these to empower people,” the IPAN boss added. Hon Chike Okafor, Chairman, House Committee on Health Services, said the National Assembly are not very involved in implementation of programs and policies. “There is no direct intervention we can make. Our job is legislation. For instance the law says what you have power to appropriate money for; you also have power to oversight. Our job stops at the point of making laws and also following up oversight. I raised a motion in the house which made funds available for revitalisation of Primary Healthcare Systems across the country,” he said. Okafor said that there has been significant budgetary increased in health, and also assured that the government is relentless in making healthcare accessible and affordable. Also, Prof Sunday Ajayi said no industry from any economy can move without the analyst as they are in charge of quality control in laboratories and compliant to standards. “And I’ll tell you frankly that if NAFDAC, if SON and the likes have as much improved capital provision in the budget I think that IPAN should have much more,” he added. The occasion also witnessed the induction of 35 new members in the IPAN fold, Fellowship Award to 41 practitioners, Honourary Fellowship award to Mrs Kehinde Ajoni and Posthumous Honorary Fellowship award to Late Tunji Braithwaite.